Saving money is more important than earning it. If you want to keep your future on the bright side, then you must have bank account. Banking sector in India has been touching high peaks of success for a long time now. Banking is an important need and you just can't survive without it. Of course, the banking starts from you getting a bank account of your own. Talking about bank accounts, there are various types to choose from. The final selection depends on your needs. If you are looking to get bank account for business needs, then Current Account is what you need to have. Every bank has got Current Account service to offer to its esteemed customers. In the list of top banks for this purpose, HDFC bank shines at a respectful position. HDFC bank is rapidly growing private bank. High-end services of this bank and care for customers have enabled it grab attention of millions so far. Well, if you are well familiar with what HDFC Current Account has got in it to offer to you, then I am sure that you have made your decision whether or not to go with this bank. For those with affirmative reply to this confusing question, should keep reading this post ahead to know about how to open Current Account in HDFC bank. Well, before I provide you the procedure about how to open current account in HDFC, let me tell you that this esteemed bank has got various types of current account available for you. Regular Current account, Trade Current Account, Apex current account, Max current account, Plus current account etc. are a few names to be listed here. In this post, I am providing you the procedure to get a Regular Current Account in HDFC Bank. The procedure to get any other type is almost type. Of course, a little variation's possibility is there. You can know about that variation and features of intended type of current account by visiting official website of HDFC Bank. Customer Identification proof, address proof etc. are what need to be provided to the bank to get current account in it. Below section drops a better light on the requirements. To open current account in HDFC bank, you need to provide address proof as well. The documents that can be accepted as valid address proof varies as per the type of current account you opt for. For residential individual, documents like Electricity bill, telephone bill, Ration card, rent agreement can serve as address proof. Company office rent agreement, electricity bill, company telephone bill are what you need to provide as valid address proof in the case you are looking to have current account in HDFC bank for your company. To open Regular Current account in HDFC bank, Rs. 10,000 is the amount required. The exact figure's info for your intended current account type can be obtained from the official website of bank. Visit nearest HDFC Branch on your own. Fill up the account opening form, provide them the required proofs, amount, etc. That's it. Did not like the above way because of the 'hard work' involved in it? No issues! 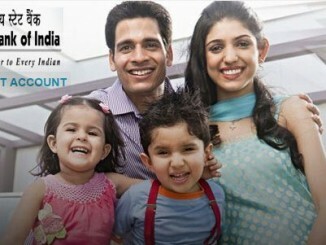 Get the current account in HDFC Bank by visiting the official website. Online way is convenient way, no? That's all. You have successfully learnt the procedure of opening a current account in HDFC bank. What are you waiting for now? Just go ahead and get current account in HDFC Bank right away. I want to open a current account in HDFC, but their staff misguiding me. Hi I am Rajni Bhardwaj i want open my bank account in HDFC bank in gurgaon near by khandsa road in Om Nagar please help? Hi, I have my own small translation business, I need to open a current account in my business name, I have SSI registration certificate and for seal and letter head ! is these documents enough to open? please advice. I want to open current account in HDFC, but their staff misguiding me. I am p k mishra i have not any registered business but i am doing a business as a shop but i have need a current account for business purpose . Can you suggest me that what document required for a current account .